A very nice map showing leopard's current and former range in the wild. Best sites for leopard enthusiasts include Yala National Park, Sri Lanka, with the world's highest concentration of wild leopards, Sabi Sand Private Game Reserve in South Africa with its leopards adapted to human presence and numerous national parks in India (though man-eating is on the rise there owing to increasing human infringement into leopard territory). I once could hold a leopard baby on my knees, I can tell you that was an event for me ! I like your blog and I made a post telling everyone about it this morning. I will get my human Bob to add you to my links by this weekend. Hello! I love the big cats! The Bengal Tiger is my favorite of the big cats but I love them all very much! What a great blog. 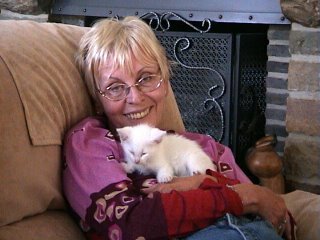 I'm adding a link at How to Hold a Cat Without Losing an Eye (http://howtoholdacat.blogspot.com) I gave it a kudos at Stumbled Upon too. I look forward to reading more! Excellent & informative blog you have here. Thanks for visiting us over at cheezycatz.blogspot.com and we will add you to our links section. thanx alot frostin and jennifer for ur awesome support. keep visiting! thanx for the add and visits sourpuss, funny pets and kim and oscar ~ really appreciate that!